Yes another post about a gimbal… actually this one is more about the accessories I put on it to make it work even better. I still prefer to use smaller cameras and smaller gimbals whenever I can. The gimbal is still the Moza Air 2… amazing! But this time I’ve been using it with a new camera I am testing out which is the Nikon Z6. This post however is about the L bracket and a C clamp from DigitalFoto that I put on my gimbal that allows me to use both hands to hold it and also to attach heavy accessories. I’ve already reviewed a few accessories from DigitalFoto before in this post HERE. By the way these accessories will work with any gimbal and camera combo out there. You can find these accessories at various online stores. Just follow the links below. 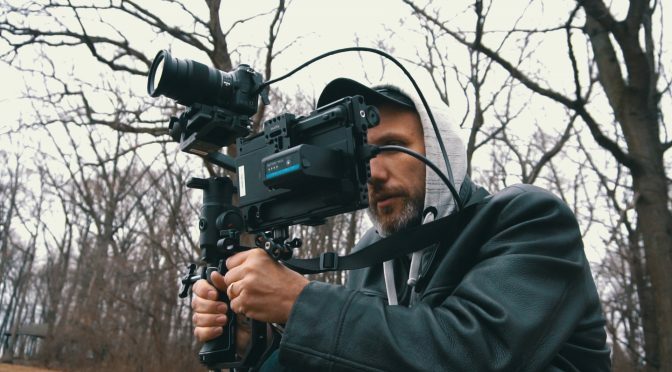 Hi Jeff, I didn’t even know they made accessories for their gimbals other than the iFocus. Thanks for letting me know though!